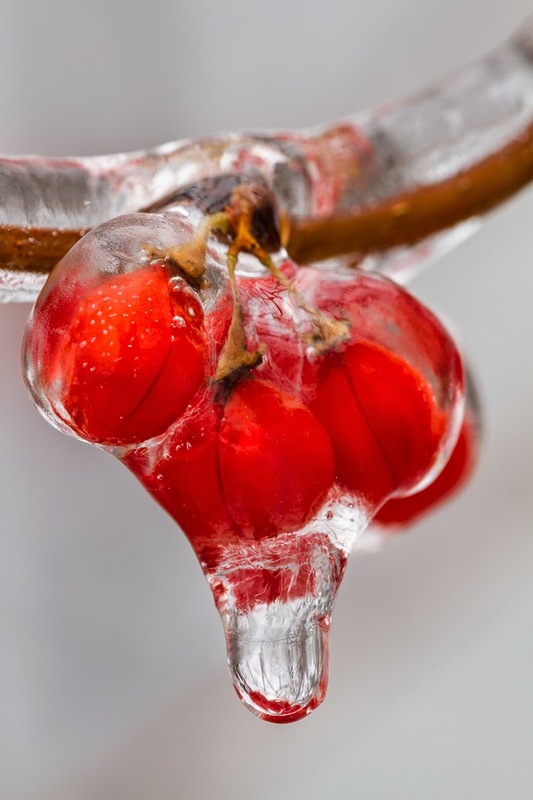 Ice covered bittersweet berries in the shape of a heart, Leyden, MA. Canon 7D, 180mm f/3.5L macro, ISO 100, 1/5 sec., f/11. Bittersweet heart...this image just about sums things up for me. I haven't posted for a while because I went up to visit my family in MA for the holidays. Two hours after we arrived, we were calling 911 for my dad, who was in dire shape. I ended up staying an extra week or so while he was in the hospital, and miraculously, given all the things wrong with him, he seemed to be recovering. He transferred to a nursing home for rehab on a Friday and I returned home for three days. He went downhill in the nursing home, and he was transferred back to the hospital on the following Monday. That evening he passed away before I could even decide whether or not to return home. So now I've finally returned from being with family, saying goodbye, and helping my mom. Amongst the grief, and honestly some bitterness that he didn't take better care of himself, there are many sweet memories of my dad and the lasting legacy he gave to me. You see, my love of nature comes predominantly from my dad. From a very young age he took me on nature walks and taught me all he knew about the natural world. Then in my freshmen year of high school, he took me on the first of many birding trips and got me hooked on my lifelong passion for birds. I made this image on the Leyden farm that he loved, while he was in the hospital. An ice storm glazed the world in a layer of ice, and since we couldn't travel to the hospital that day, I took advantage of the conditions. Below is another favorite image from the same day. A final thought...I urge you to take good care of your health. We are only issued one body in this life, and your loved ones would like you to stick around as long as you can. I miss you already dad. Thanks for all the many things you did for me, especially for the gift of appreciating this beautiful world we live in. 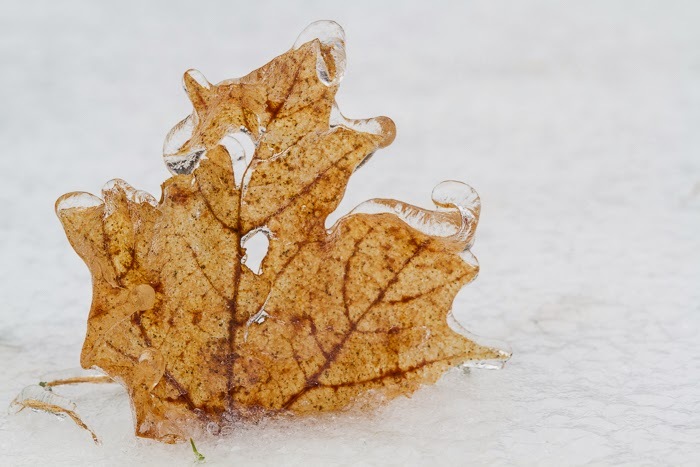 Maple Leaf trapped in ice, Leyden, MA. Canon 7D, 180mm macro, ISO 100, 1/13 sec., f/11. Thanks Anita for your kind comments. Sorry to hear about your dad, and the Lyme Disease, it can be a long and frustrating road. I'm still on that road, after 3 years, but I'm so much better than I was in the first year. Hang in there, it does get better. My portfolio and full archive can be browsed or searched at www.bestnatureimages.com or click on the links above. Please feel free to email me at WhimbrelNature@gmail.com if you have any questions or would like to negotiate a specific use or project. © WHIMBREL NATURE All photographs and written materials appearing on this site are the property of Whimbrel Photography and Elijah Goodwin. They are protected by the US copyright laws and are not to be downloaded or reproduced in any way without the written permission of Whimbrel Nature.